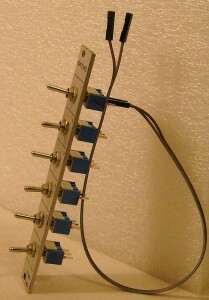 for shorting internal module setting jumpers from front panel, 6 independent switches. 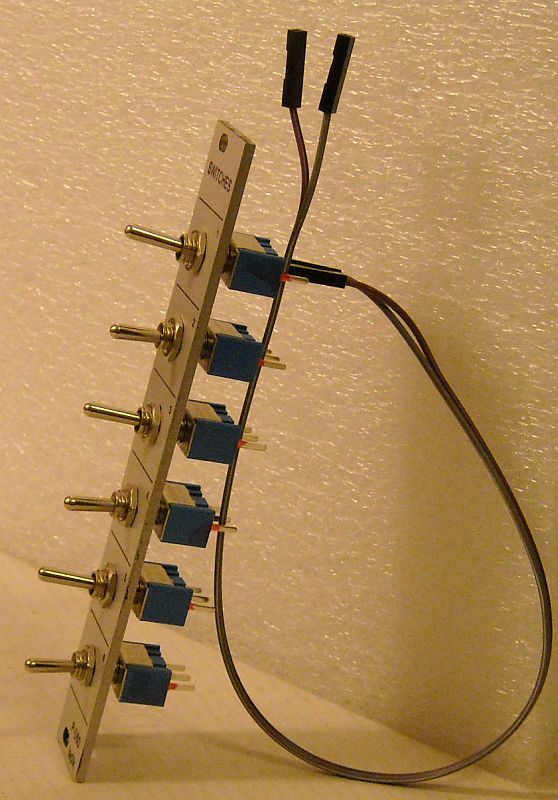 Easy DIY kit (panel, six toggle switches, six 2-wire cables with sockets on both sides – 3x 20cm + 3x 30cm – to put on switches and on an module internal jumper pins instead shorting jumper). No soldering required. Soft tip permanent marker (alcohol based) or pencil can be used for switch function description (can be wiped out by alcohol if you´ll change switch connection), there is an room around switches. 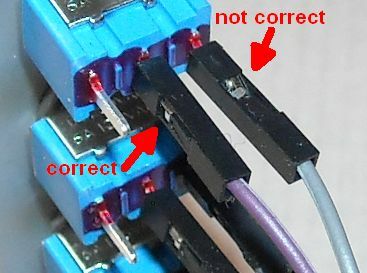 DON´T PUT WIRES ON POWER SUPPLY PINS!!!!!!!!!!!!!!!!!!!!!!!!!!!!!!!!!!!!!!!!!!!!!!!!!!!!!!!!!!!!!!!!!!! IT CAN CAUSE SHORTING POWER SUPPLY AND RACK DESTRUCTION!!!!!!!!!!!!!!!!!!!!!!!!!!!!!!!!!! THINK TWICE BEFORE PUTTING WIRES ON JUMPER PINS!!!!!!!!!!!!!!!!!!!!!!!!!!!!!!!!!!!!!!!!!!!!!!!!! !